Either way, I put a whole pint of blueberries and some oatmeal in here to make you feel better about it. It has my favorite baked oatmeal texture inside with a delicious streusel topping and a quick glaze to remind you of your favorite blueberry muffins. I think you are going to love it! Of course my little guy had to help. I wouldn't dream of making baked oatmeal with out him! He counted each ladle-full of oatmeal as he moved it from the bowl to the pan. I think there were "forty-five six" ladles full. He does really good into the teens, then things get a little crazy! MiMi and Pops came to eat oatmeal and scrambled eggs with us. I think it was a delicious brinner! In a mixing bowl, combine milk, yogurt, egg, and vanilla. Stir in oatmeal, flour, sugar, spices and baking powder. Fold in blueberries and pour into greased pan. Meanwhile, combine flour, sugar and cinnamon for the streusel topping. Cut in the butter until crumbly. Sprinkle over the top of the oatmeal and bake another 20 minutes. Stir together the glaze. I wanted mine to be thick so you could see it, but make it how you like it. Drizzle over oatmeal and enjoy! Your baked oatmeal recipes are the best! I made the banana one yesterday. It was a hit! Thanks! We just made the banana one again last week too! This is going on my must try list!! I didn't see it on our Fiesta Friday post! I hope you'll go back to my blog and enter it! Happy New Year! It was sooo good! We loved baked oatmeal and this is a new favorite! Now I don't know if my post went thru! I just said This is going on my must make list, and I hope you'll go back to my blog and enter it on the Fiesta Friday post of a couple days back!! These look fantastic! I can't wait to try them! This looks amazing! I love baked oatmeal-- you can eat off of it all week! Looks delicious! I love making something special for breakfast a couple times a week, so I'll add this to my idea list. It was a winner, that is for sure! Thanks, Val! Yum! We eat a ton of oatmeal around here and this sounds like another delicious way to enjoy it - especially to indulge sometime for a treat :) Know my kiddos will love it! Most of my baked oatmeal recipes contain less sugar than this one, but a little extra treat every now and then is nice! I hope you all enjoy it! Happy New Year Carlee! 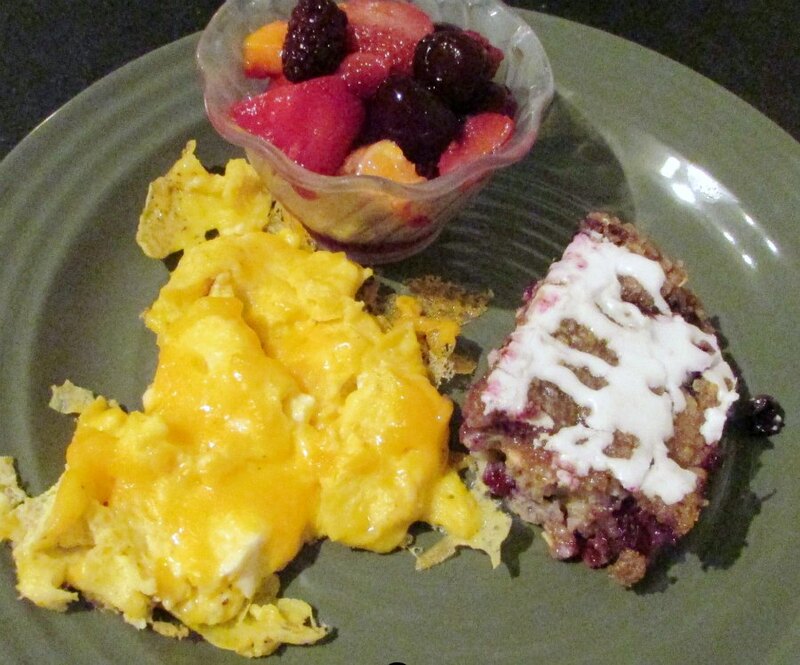 Baked oatmeal is so healthy and the perfect recipe to start off the new year! Happy New Year! We love baked oatmeal year round here, but it does seem a little extra appropriate this time of year. 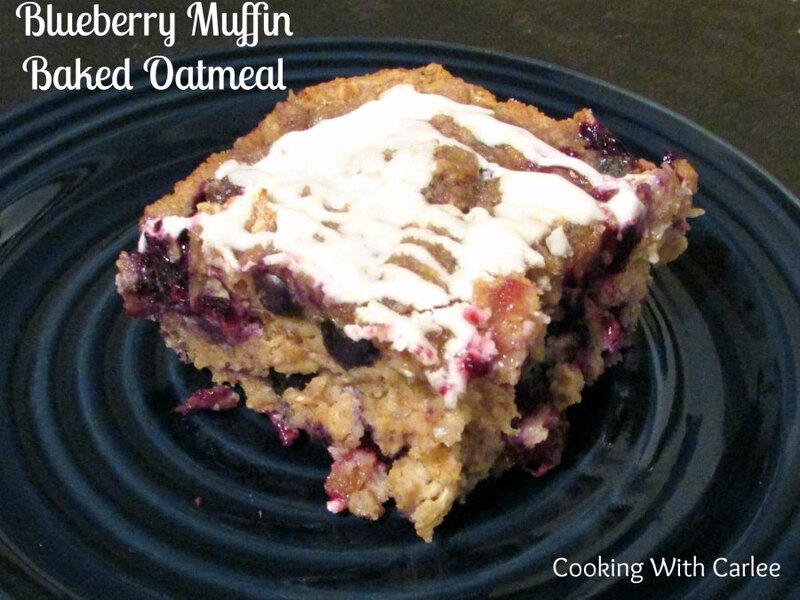 Your Blueberry Muffin Baked Oatmeal would be wonderful to wake up to! Thanks so much for sharing with Full Plate Thursday and Happy New Year! 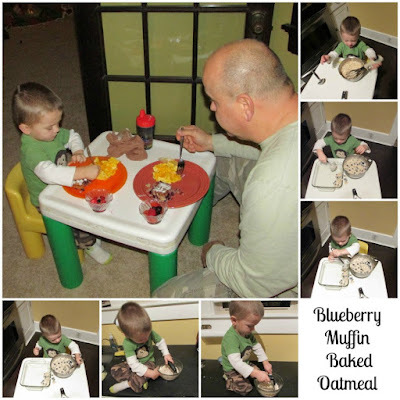 If this is as good as your pumpkin baked oatmeal, I must try it, Carlee!! It is definitely sweeter if you add the streusel topping, but has that same luscious texture! I loved it and hope you do to if you give it a try! That looks so good! We are struggling with breakfast these days and I am going to have to try this one. Thanks for sharing on the Country Fair Blog Party this month! We looooove baked oatmeal. This is one of our more decadent recipes, but it is still relatively healthy. I hope you love it!